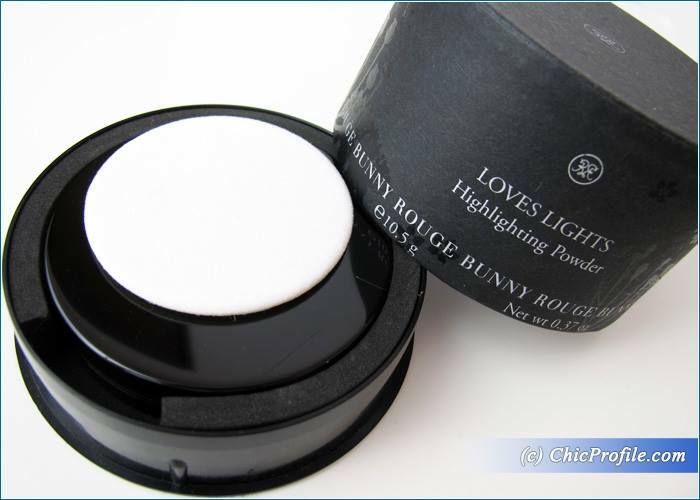 Rouge Bunny Rouge launched for spring 2016 two shades of Loves Lights Highlighting Powder (preview, photos). 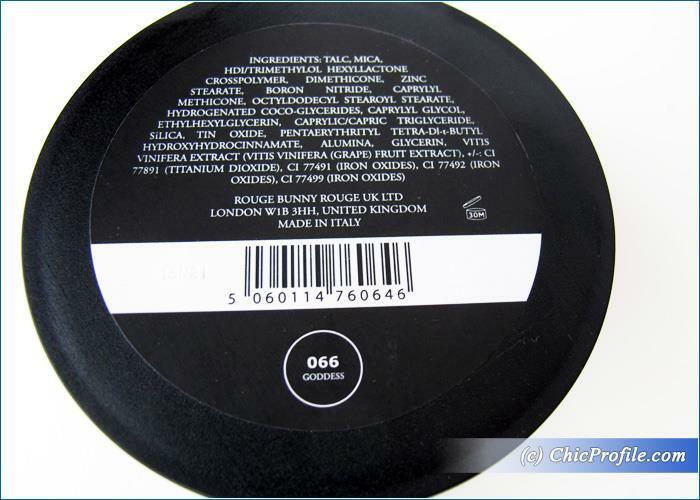 The shade 066 Goddess is the one I’ll be reviewing today and it’s just right for fair and light skin tones, while Sweet To Touch would be more suitable for medium to darker skin tones I believe. 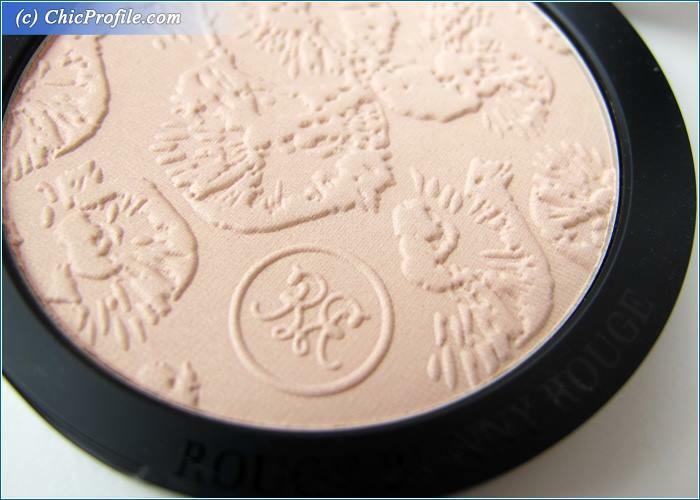 I dreamt at this gorgeous RBR highlighting powder ever since I saw the promo photos…it’s really hard to take your mind away from such a beauty. 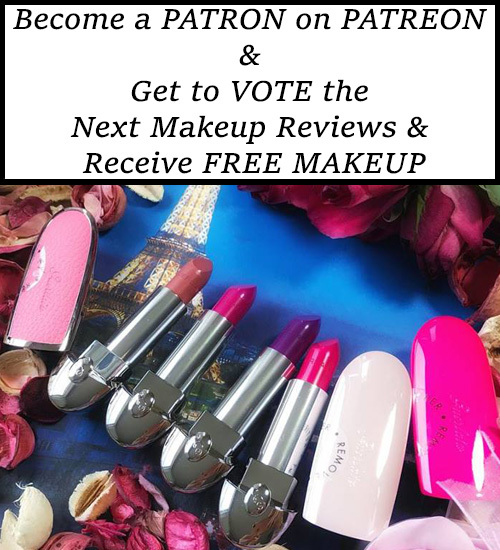 With Rouge Bunny Rouge every product takes me into a fairy-tale atmosphere, beginning with the packaging, continuing with the gorgeous patterns of each product and finishing with the high quality. Just look how this powder comes packed. 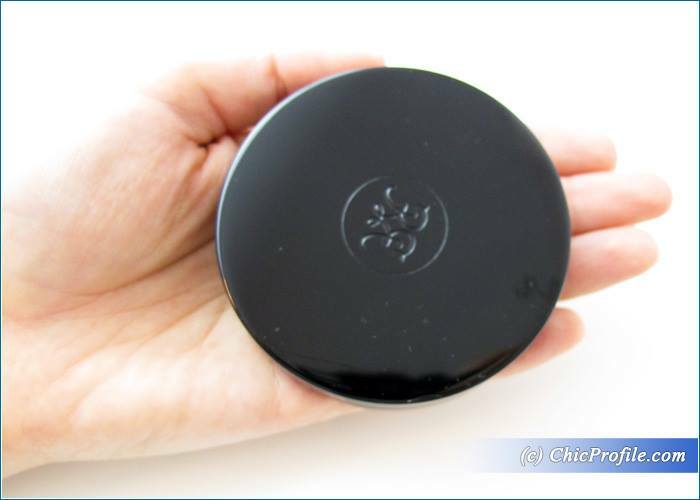 In a rounded cardboard matt box with glossy floral (resembling a mini hat box to me) with the ingredients printed on the bottom, lays the elegant high-lustre, piano black case with a magnetic lid. The pattern is superb, glossy floral print…just right for spring. 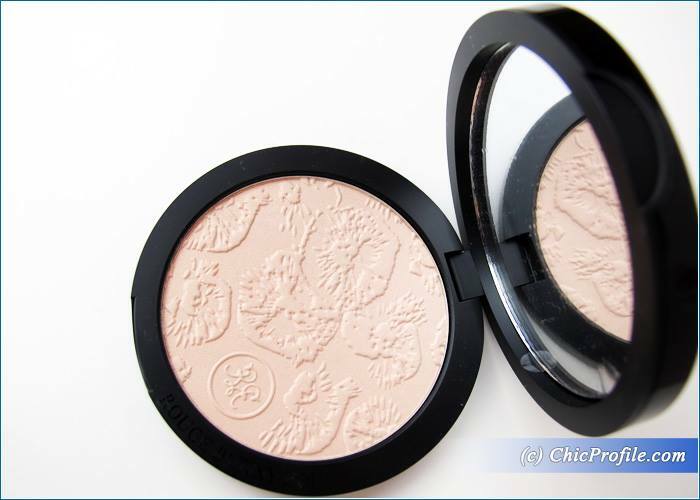 The powder also comes with a white powder puff included. 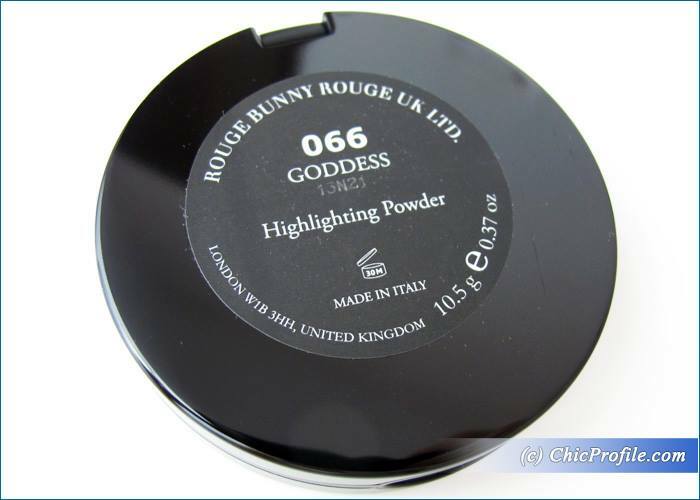 RBR (066) Goddess Loves Lights Highlighting Powder (€45.00 /$48.00 for 10.5 g / 0.37 oz) is a light cream with pink undertones and the finest Aurora golden glow effect. 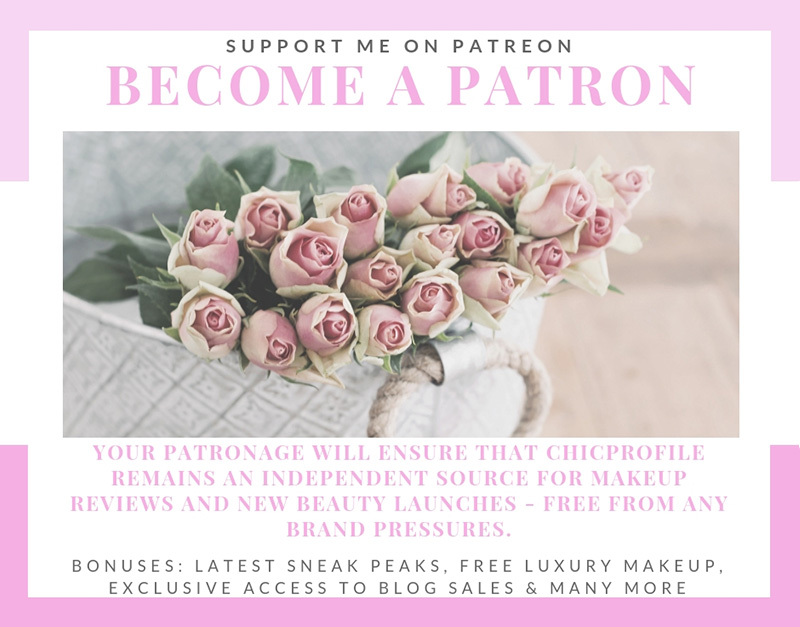 It gives a very soft satin finish, very natural looking.I find it perfect for light skin tones like me and especially for those who want just a touch of luminosity on their face or a bit of highlight on their cheeks. You can build up the color just a little bit, but the effect will still remain natural. It’s the kind of highlighting powder that won’t let you over do it and it won’t make you look like a glowing disco ball. It gives just a nice glowy effect and it doesn’t emphasizes pores, so it can be used even by those with combination and oily skin types (I’m one of those myself). 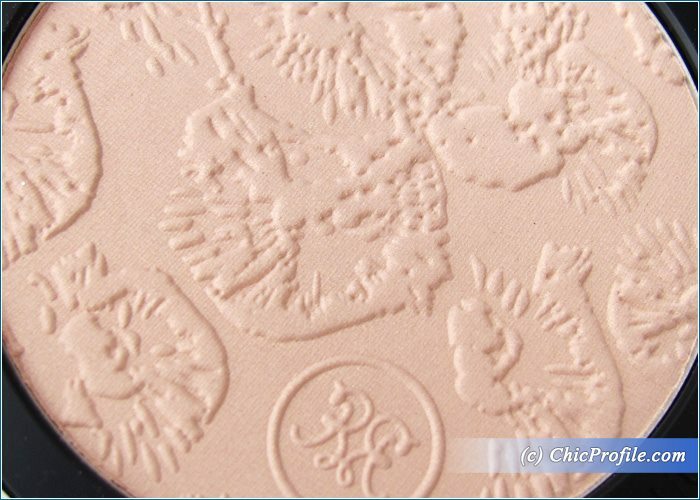 The texture is so fine, mild and smooth to the touch, a real pleasure to swatch it. It goes on well very smoothly, it adheres well onto the skin and it’s easily blendable. 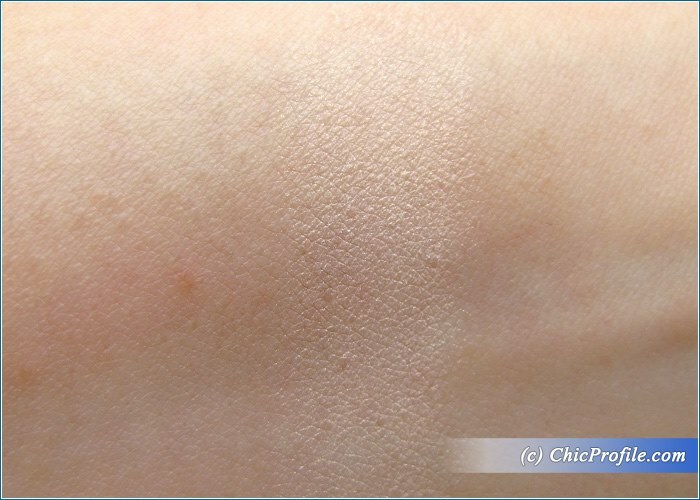 It gives the skin an even and radiant look so you won’t have to worry at all about those shimmering twinkles. The formula is also enriched with anti-aging benefits for a firmer and healthier skin. This powder will gently blur away imperfections and give you a soft smoothing effect that will transform your complexion into a porcelain-like skin. New generation pigments create a lasting flawless, luminous coverage and a unique blendability. State-of-the-art technologies in powder treatment and coating make for the superb smoothing properties, delightful skin feel and comfort. The exclusive Aglianico Grape Marc Extract is added to boost natural anti-aging and healing skin processes such as detoxification and synthesis of hyaluronic acid, type I and type III collagen. It goes on me for about 10 hours before it starts signs of fading. 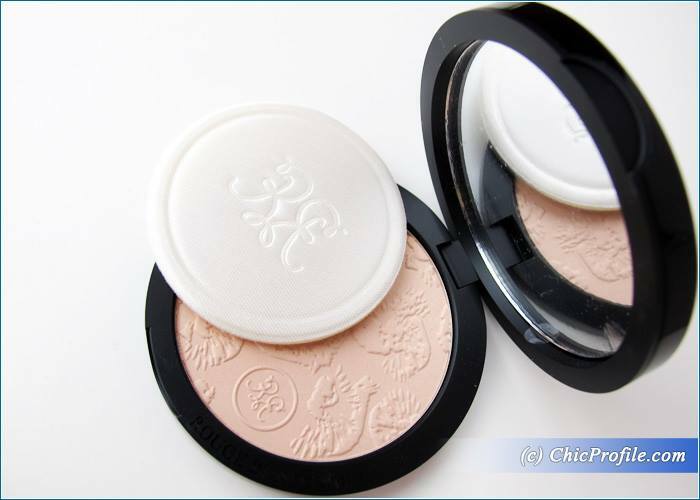 Just a gorgeous natural luminous effect, the kind of highlighting powder that can be used even by older women as well. 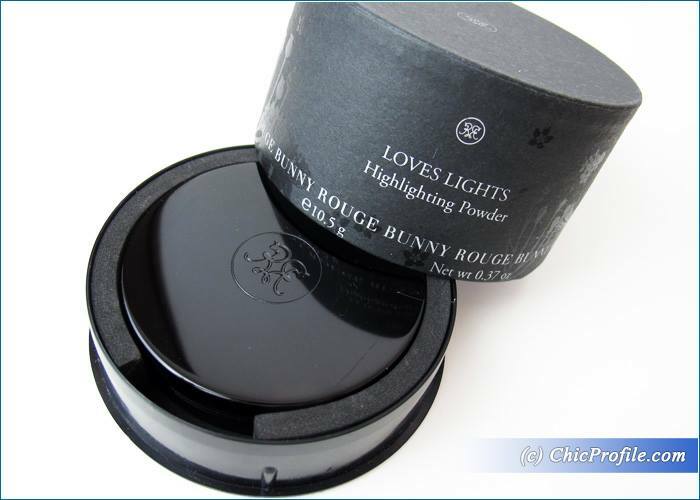 I do prefer highlighter powders that are gentle with the skin, not so glowy and intense and RBR Loves Lights is one of them.